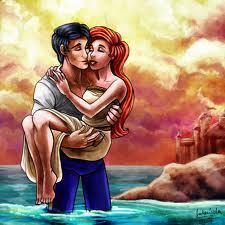 "Take me away my love". . Wallpaper and background images in the Ariel and Eric club tagged: ariel prince eric.